Perfect for a fairy theme party or Tinkerbell celebration. Tink and her friends are ready to wish your little girl a happy birthday! 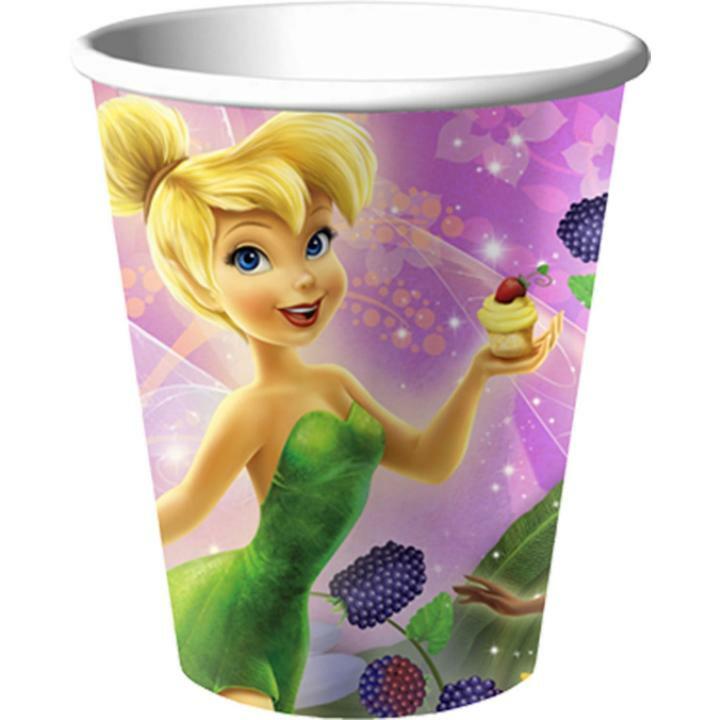 These cups can also be filled with popcorn, small favors or other treats. Paper. (8 pcs. per set) 3 3/4" 9 oz.